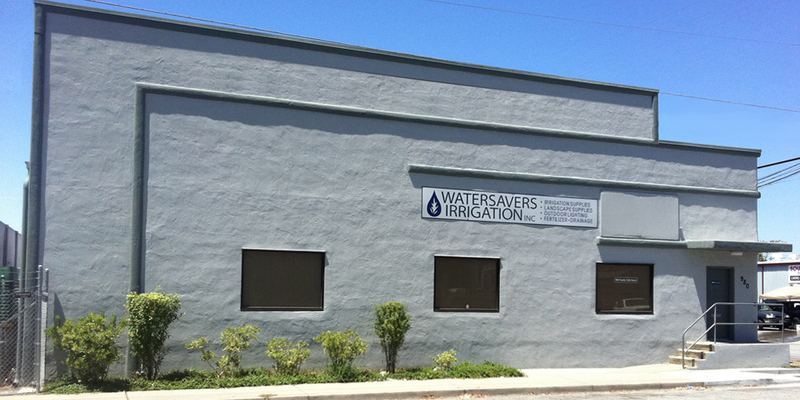 Watersavers Turf is located at 980 North 11th St, San Jose, CA 95112 in Santa Clara County. Find everything you need to upgrade your landscape with artificial grass. Come visit our artificial grass store in Santa Clara County. Speak with our staff pros. At our one-stop shop, we carry all the products and tools you’ll need for installation. We have 40+ types of the best quality artificial grass in or near Santa Clara County and beyond. We’re open 6 days a week. Stop by and touch some free 1′ x 1′ samples. You’ll love what you feel! Come visit our store for high-quality artificial grass in San Jose. Our product ranges from luxury sod to economy turf, along with specialty products like pet grass and pro-caliber sports field. At Watersavers, you can get the drought-friendly landscape you want at the price point you need. It’s easy to find the right real lawn replacement out of our sixty plus grass types when you have the help of our expert staff. Our pros can answer all of your turf questions and even place special orders for any specialty items you need. In our one-stop shop, we’ve got everything you need to install artificial grass in San Jose. From must-haves like turf infills and padding to handheld machines like the Easy Seam which you can buy or even rent. Our turf tools have you covered every step of the way. If you’re hiring a local pro to install your new synthetic turf, we can find you a qualified contractor. If you’re a contractor who’s ready to learn how to install artificial grass, we give free training’s at most store locations. Stop by to speak with our staff and talk about what you need. If you can’t come by our San Jose store, you can always give us a call. Our eco-smart real grass substitute saves local natural resources. Water conservation in California’s yards has been our job since Watersavers started nearly 30 years ago. From our San Jose storefront, we’re proud to add eco-smart green to commercial and residential spaces all across Santa Clara. Of course, people have been building businesses and homes in the City of San Jose since long before our company started in 1988! Maybe reading about this area’s past will inspire you to help protect its future by conserving natural resources with us. Historians believe that the City of San Jose was the first civilian colony settled by Europeans in the state of California. It was first home to Ohlone tribes who built tule huts and fished in the Guadalupe River then in the 18th century, Spain came calling. The first census took place in 1778, and counted just 68 residents. They built farms and homes in the adobe style. The Peralta Adobe at 184 St. John Street is the oldest building in the city today, and was built around this time. You can still check it out for a vivid glimpse of the past. The town grew fast, in part due to its fertile land that was easy to farm. After the CA Gold Rush hit in 1849, many miners stayed in the area to become farmers and ranchers, and the San Jose area became known mostly for its thriving prune farms. Agriculture turned to industry over the years, and now it’s the heart of Silicon Valley. San Jose isn’t just the hub of Santa Clara County. It’s the largest city in Northern California. It’s the 3rd biggest town in CA, and the 10th largest city in the entire United States. Over a million people call San Jose home, and the ongoing drought has had a big impact on all of them. Across Santa Clara today, people are looking for ways to reduce their water usage at home and at work. Watersavers can help. Switching from real grass to a fake lawn can save you up to 55 gallons of water per square foot per year! Do you want to make your yard eco-smart? Just visit our San Jose location at 980 N. 11th Street, give us a call at (408) 291-0044, or stop by any of our California stores.